Annegret Fauser (Cary C. Boshamer Distinguished Professor of Music, Harold J. Glass USAF Faculty Mentor/Graduate Fellow Distinguished Term Professor, and Adjunct Professor of Women’s and Gender Studies) is a cultural musicologist whose work emphasizes how music intersects with its social, political, and artistic contexts. Her research focuses on music of the nineteenth and twentieth centuries, and in particularly that of France and the United States. She has published on French song and opera, women composers, exoticism, nationalism, reception history, and cultural transfer. She is author of Der Orchestergesang in Frankreich zwischen 1870 und 1920 (1994), Musical Encounters at the 1889 Paris World’s Fair (2005), Sounds of War: Music in the United States during World War II (2013), The Politics of Musical Identity: Selected Writings (2015), and Aaron Copland’s Appalachian Spring (2017). She is the author of numerous articles, she also (co-)edited five essay volumes. From 2011−13, she was the Editor-in-Chief of the Journal of the American Musicological Society. 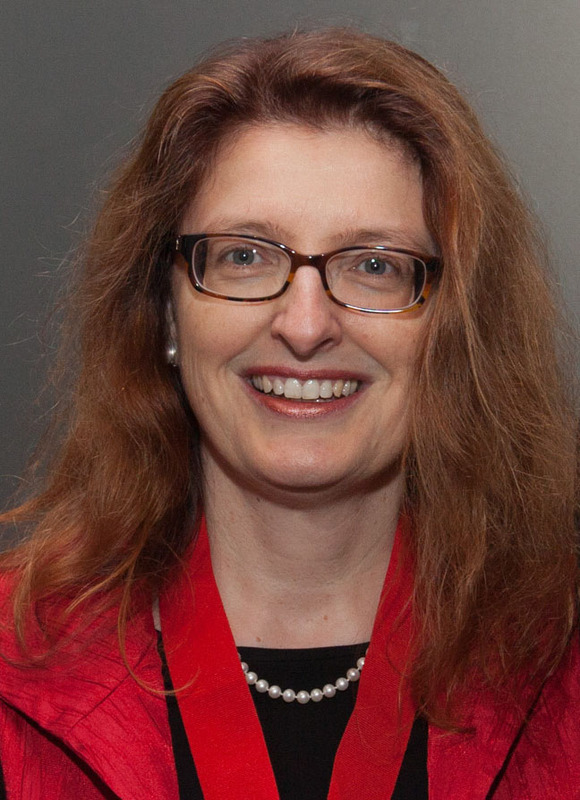 The recipient of the 2011 Edward J. Dent Medal of the Royal Musical Association, Annegret Fauser was also a fellow at the Wissenschaftskolleg zu Berlin (Institute for Advanced Study) in 2009−10 and a Pardue Fellow at the Institute for the Arts and Humanities at UNC (2004). In 2015−16, she was in residence at the National Humanities Center. Her publications have been recognized by major awards, including the Ruth A. Solie Award and the Music in American Culture Award of the American Musicological Society and an ASCAP Deems Taylor/Virgil Thomson Award. She has been awarded fellowships and grants by the National Endowment for the Humanities, the European Research Council, the British Academy, the Arts and Humanities Research Council (U.K.), the Fondation Nadia et Lili Boulanger, and the Deutscher Akademischer Austausch Dienst. She is International Honorary Principal Fellow at the Melbourne Conservatorium of Music, Australia, and, in 2012, she also held an endowed guest professorship in women and gender studies, the Käthe-Leichter Gastprofessur für Frauen- und Geschlechterforschung, at the Universität Wien. Dr. Fauser joined UNC-Chapel Hill in July 2001. She was born in Germany, lived in Ghana and Germany, and studied musicology, art history and philosophy at the Rheinische Friedrich-Wilhelms Universität in Bonn, the Ecole Normale Supérieure in Paris, and the Université Paris IV–Sorbonne. She received her PhD (Dr. phil) at the University of Bonn in 1992. Before becoming a member the faculty at UNC, she taught musicology at the Université François Rabelais in Tours, the Folkwang Hochschule in Essen, the Humboldt Universität zu Berlin, and City University, London. Aaron Copland’s Appalachian Spring. Oxford Keynotes. New York: Oxford University Press, 2017. The Politics of Musical Identity: Selected Writings. Ashgate Contemporary Thinkers on Critical Musicology, vol. 12. Farnham, UK, and Burlington,VT: Ashgate, 2015. Sounds of War: Music in the United States during World War II. New York and Oxford: Oxford University Press, 2013. Music, Theater, and Cultural Transfer: Paris, 1830-1914. Edited by Annegret Fauser and Mark Everist. Chicago: University of Chicago Press, 2009. Dossier de presse: The Parisian Tannhäuser (1861). Edited by Annegret Fauser, with the assistance of William Gibbons. In Francophone Music Criticism 1789-1914, School of Advanced Studies, London, 2009. “Music & Identity.” The Musical Quarterly 89/4 (2006). Special Issue edited by Annegret Fauser and Tamara Levitz. Musical Encounters at the 1889 Paris World’s Fair. Rochester, NY: University of Rochester Press, 2005. Dossier de Presse parisienne: Jules Massenet, “Esclarmonde” (1889). Edited by Annegret Fauser. Heilbronn: Edition Lucie Galland, 2001. Von Wagner zum Wagnérisme: Musik, Literatur, Kunst, Politik. Edited by Annegret Fauser and Manuela Schwartz. Vol. 12: Transfer: Die deutsch-französische Kulturbibliothek. Leipzig: Leipziger Universitäts-Verlag, 1999. Der Orchestergesang in Frankreich zwischen 1870 und 1920. Vol. 2: Freiburger Beiträge zur Musikwissenschaft. Laaber: Laaber-Verlag, 1994. “French Entanglements in International Musicology during the Interwar Years,” Revue de Musicologie 103 (2017): 499–528. “Le Sacre du Printemps: a Ballet for Paris.” In The Rite of Spring at 100, edited by Severine Neff, Maureen Carr, and Gretchen Horlacher, with John Reef. Foreword by Stephen Walsh, 83–97. Bloomington: Indiana University Press, 2017. “Some Challenges for Musicological Internationalism in the 1930s” (p. 20–24), and “Edward J. Dent (1932–49)” (p. 45–49). In The History of the IMS (1927–2017), edited by Dorothea Baumann and Dinko Fabris. Basel: Bärenreiter, 2017. “Lessons in Musical Geography: Imagining Eastern Europe in the United States during World War II.” In Music in Dark Times: Europe East and West, 1930–1950, edited by Valentina Sandu-Dediu, 19–60. Bucharest: Editura UNMB, 2016. “The Scholar behind the Medal: Edward J. Dent (1876–1957) and the Politics of Music History.” Journal of the Royal Musical Association 139 (2014): 235−60. “Music for the Allies: Representations of Nationhood during World War II.” In Crosscurrents: American & European Music In Interaction, 1900–2000. Edited by Felix Meyer, Carol J. Oja, Wolfgang Rathert, and Anne C. Schreffler, 247–58. Woodbridge, U.K.: Boydell and Brewer, 2014. “Wording Notes: Musical Marginalia in the Guise of an Afterword.” In Words and Notes in the Long Nineteenth Century. Edited by Phyllis Weliver and Katharine Ellis, 223–27. Woodbridge, U.K.: Boydell and Brewer, 2013. “What’s in a Song? Camille Saint-Saëns’s Mélodies.” In Saint-Saëns and his World. Edited by Jann Pasler, 210–31. Princeton University Press, 2012. “Presenting a Great Truth’: William Grant Still’s Afro-American Symphony (1930).” In Ereignis und Exegese – Musikinterpretation und Interpretation der Musik. Festschrift für Hermann Danuser. Edited by Camilla Bork, Tobias Klein, Burkhard Meischein, Andreas Meyer, and Tobias Plebuch, 644–53. Schliengen: Edition Argus, 2011. “Cultural Musicology: New Perspectives on World War II,” Zeithistorische Forschungen/Studies in Contemporary History 8 (2011): 282–86. See also online edition. “‘Dixie Carmen’: War, Race, and Identity in Oscar Hammerstein’s Carmen Jones (1943).” Journal of the Society for American Music 4 (2010): 127–74. “Carmen in Khaki: Europäische Oper in den Vereinigten Staaten während des Zweiten Weltkrieges.” InOper im Wandel der Gesellschaft. Kulturtransfers und Netzwerke des Musiktheaters im modernen Europa. Edited by Sven Oliver Müller, Philipp Ther, Jutta Toelle, and Gesa zur Nieden, 303–29. Vienna: Oldenbourg and Böhlau, 2010. “‘Cette musique sans tradition’: Wagner’s Tannhäuser and its French Critics.” In Music, Theater, and Cultural Transfer: Paris, 1830-1914. Edited by Annegret Fauser and Mark Everist, 228–55. Chicago: University of Chicago Press, 2009. “Debacle at the Paris Opéra: Tannhäuser and the French Critics, 1861.” In Wagner and His World. Edited by Thomas S. Grey, 231–34. Princeton: Princeton University Press, 2009. “‘Hymns of the Future’: Reading Félicien David’s Christophe Colomb as a Saint-Simonian Symphony.”Journal of Musicological Research 28 (2009): 1–29. “‘Wagnerism’: Responses to Wagner in Music and the Arts.” In The Cambridge Companion to Wagner. Edited by Thomas Grey, 221-34. Cambridge: Cambridge University Press, 2008. “New Media, Source-Bonding and Alienation: Listening at the 1889 Exposition Universelle.” In French Music, Culture, and National Identity, 1870-1939. Edited by Barbara Kelly, 40–57. Rochester, NY: University of Rochester Press, 2008. “Aaron Copland, Nadia Boulanger, and the Making of an ‘American’ Composer.” The Musical Quarterly 89 (2006), 524-55. Special Issue on “Music & Identity.” Edited by Annegret Fauser and Tamara Levitz. “Encuentros con lo desconocido: música exótica en las Exposiciones Universales.” Translated by Luis Gago. In Mirada a Oriente. Edited by Luis Gago, 43-63. Madrid: OCNE, 2008. “Comment devenir compositeur: Les stratégies de Lili Boulanger et ses contemporaines.” In Nadia Boulanger et Lili Boulanger. Témoignages et études. Edited by Alexandra Laederich, 273–88. Lyon: Editions Symétrie, 2007. “Oscarine und Reginette: ein komisches Zwischenspiel in der französischen Wagnerrezeption.” In“L’Esprit français” und die Musik Europas: Entstehung, Einfluß und Grenzen einer ästhetischen Doktrin. Festschrift für Herbert Schneider zum 65. Geburtstag. Edited by Michelle Biget-Mainfroy and Rainer Schmusch, 575–90. Vol. 40: Studien und Materialien zur Musikwissenschaft. Hildesheim, Zürich, New York: Georg Olms Verlag, 2007. “Creating Madame Landowska,” Women & Music: A Journal of Gender and Culture 10 (2006): 1–23. “Composer en tant que catholique : Une relecture de la musique vocale de Lili Boulanger.” Translated by Marie-Hélène Benoit-Otis. Intersections: Canadian Journal of Music 26/1 (2006): 114–23. “Histoires interrompues: raconter l’histoire de la musique en France.” Translated by Hélène Panneton. InMusique et modernité en France 1900-1950. Edited by Sylvain Caron, Michel Duchesneau, and François de Médicis, 19–50. Montréal: Presses de l’Université de Montréal, 2006. “Lorelei and Other Rhine Maidens.” In Music of the Sirens. Edited by Linda Austern and Inna Naroditskaya, 250–72. Bloomington: Indiana University Press, 2006. “Archéologue malgré lui: Vincent d’Indy et les usages de l’histoire.” In Vincent d’Indy et son temps. Edited by Manuela Schwartz, 122-33. Liège: Mardaga, 2006. “Visual Pleasures-Musical Signs: Dance at the Paris Opéra.” South Atlantic Quarterly 104 (2005): 99-121. “De arqueología musical. La música barroca y la Exposición Universal de 1889.” Translated by Luis Gago. In Concierto barroco. Estudios sobre música, dramaturgia e historia cultural. Edited by Juan José Carreras and Miguel Ángel Marín, 289-307. Logroño: Universidad de La Rioja, 2004. “Fighting in Frills: Women and the Prix de Rome in French Cultural Politics.” In Women’s Voices Across Musical Worlds. Edited by Jane Bernstein, 60-86. Boston: Northeastern University Press, 2003. “World Fair-World Music: Musical Politics in 1889 Paris.” In Nineteenth-Century Music Studies. Edited by Jim Samson and Bennett Zon, 179-225. London & Aldershot: Ashgate, 2002. “Die Welt als Stadt: Weltausstellungen in Paris als Spiegel urbanen Musiklebens.” In Musik und Urbanität. Edited by Christian Kaden and Volker Kalisch, 139-48. Essen: Blaue Eule, 2002. “Alterity, Nation and Identity: Some Musicological Paradoxes.” Context: A Journal of Music Research 21 (Spring 2001): 1-18. “Phantasmagorie im deutschen Wald? Zur Freischütz-Rezeption in London und Paris 1824.” In Deutsche Meister – Böse Geister? Nationale Selbstfindung in der Musik. Edited by Hermann Danuser and Herfried Münkler, 245-73. Schliengen: Edition Argus, 2001. “Gendering the Nations: The Ideologies of French Discourse on Music (1870-1914).” In Musical Constructions of Nationalism: Essays on the History and Ideology of European Musical Culture, 1800-1945. Edited by Michael Murphy and Harry White, 72-103. Cork: Cork University Press, 2001. “Response: Directions in Musicology.” In Musicology and its Sister Disciplines. Edited by David Greer, 205-9. Oxford: Oxford University Press, 2000. “The Songs.” In The Cambridge Companion to Berlioz. Edited by Peter Bloom, 109-24. Cambridge: Cambridge University Press, 2000. “‘…den muss aus Liebe Schönheit töten’: Klang-Körper-Frau.” In Die Worte vergrößern: Bericht über das zweite Internationale Symposium Othmar Schoeck, Luzern, 13. und 14. August 1999. Edited by Beat A. Föllmi, 51-73. Vol. 3: Schriftenreihe der Othmar-Schoeck-Gesellschaft. Zürich: Othmar-Schoeck-Gesellschaft, 2000. ” ‘L’orchestre dans les sons brave l’honnêteté…’: Le rôle de l’élément érotique dans l’œuvre de Massenet.” In Massenet en son temps. Edited by Patrick Gillis and Gérard Condé, 156-79. St. Etienne: Association du Festival Massenet, 1999. “Musik als ‘Lesehilfe’: Zur Rolle der Allusion in den Opern von Jules Massenet.” In Musik als Text: Bericht über den Internationalen Kongreß der Gesellschaft für Musikforschung Freiburg im Breisgau 1993. Edited by Hermann Danuser and Tobias Plebuch, 462-4. Kassel: Bärenreiter-Verlag, 1999. “La Guerre en dentelles: Women and the Prix de Rome in French Cultural Politics.” Journal of the American Musicological Society 51 (1998): 83-129. “Zwischen Professionalismus und Salon: Französische Musikerinnen des Fin de siècle.” InProfessionalismus in der Musik. Edited by Christian Kaden und Volker Kalisch, 261-74. Essen: Blaue Eule, 1998. With Tobias Plebuch. “Gender Studies: Ein Streitgespräch.” In Gender Studies & Musik. Edited by Stefan Fragner, Jan Hemming and Beate Kutschke, 19-40. Regensburg: ConBrio Verlagsgesellschaft, 1998. “Lili Boulanger’s La Princesse Maleine: A Composer and Her Heroine as Literary Icons.” Journal of the Royal Musical Association 122 (1997): 68-108. “Andromède: ‘non pas une cantate de concours, mais une œuvre d’art’?” In Guillaume Lekeu & son temps: Actes du colloque de l’Université de Liège. Edited by Philippe Vendrix, 85-102. Liège: Société Liégeoise de Musicologie, 1995. “L’art de l’allusion musicale.” L’Avant-Scène Opéra 161 (September-October 1994): 126-29. “Femme fragile: Zu Lili Boulangers Opernfragment La Princesse Maleine.” In Vom Schweigen befreit (3. Internationales Komponistinnen-Festival Kassel): Lili Boulanger, 1893-1918. Edited by Roswitha Aulenkamp-Moeller and Christel Nies, 72-76. Kassel: Internationales Forum “Vom Schweigen befreit”, 1993. “Esclarmonde. Un opéra wagnérien?” L’Avant-Scène Opéra 148 (September-October 1992): 68-73. “Frankreich, Paris und die Provinz.” Neue Zeitschrift für Musik 152/1 (1991): 32-36. “Die Sehnsucht nach dem Mittelalter. Ernest Chausson und Richard Wagner.” In Les Symbolistes et Richard Wagner-Die Symbolisten und Richard Wagner. Edited by Wolfgang Storch, 115-20. Berlin: Edition Hentrich, 1991. “La mélodie avec accompagnement d’orchestre en France.” In 150 Ans de Musique Française 1789-1939. Edited by François Lesure and Benoît Duteurtre, 161-71. Lyon: Actes Sud, 1991. Undergraduate: Music in the United States during World War II (Honors Seminar); Introduction to Women and Music (cross-listed with Women’s Studies); Sounds of War and Revolution, 1750–1850 (cross-listed with Peace, War, and Defense); Great Musical Works. Graduate: Opera in fin-de-siècle Paris: Institution, Genre, and Convention; Aaron Copland: A Composer in Context; Musical Paris in the 1920s; Classical Music during World War II; Music, Gender, and Sexuality. Meredith Hindley. “Impertinent Questions with Annegret Fauser,” Humanities 35 (March/April 2014): 54. Stasio, WUNC, 14 August 2013. Mark Derewicz: “Songs as Bullets., Music as Bombs.” Endeavors. 17 February 2011. Watch Dr. Fauser give a talk titled “After Pearl Harbor: Music, War and the Library of Congress” for the Music Division of the Library of Congress and the American Musicological Society.